1. Arrange the rice noodles, spinach and sugar snaps in small piles in a soup bowl. Heat the chicken stock in a saucepan over a medium heat. 2. When the chicken stock is simmering, add the miso paste and stir well. Add the chicken slices and heat through until piping hot – about 4 minutes. 3. Remove the chicken slices to the serving bowl and pour over the stock. Top with a sliced boiled eggs finish with a sprinkling of herbs, if you like. Miso is a marvellous thing, fermented from soya beans, it has an amazing amount of beneficial health properties. 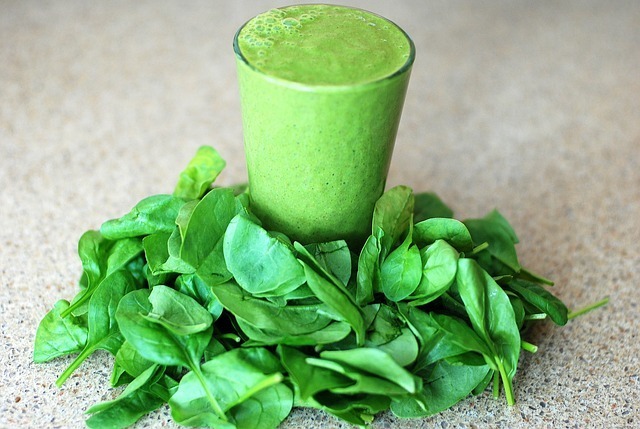 Check out the important benefits of our featured ingredient, spinach below. Although this is not an ‘authentic’ version of the famous Japanese dish,it is very tasty nonetheless. The veggies can be varied to include what you prefer or what is in season – sweetcorn, kale, broccoli are all great. Try using leftover sliced pork tenderloin, or tofu, for a change. Of course changes will have some effect on the nutritional values. Spinach is important for bone health, healthy growth and condition of skin and hair, plus it provides protein, vitamins iron and minerals. It can also assist in controlling blood glucose in diabetics. Spinach can lower blood pressure, the risk of cancer, and of developing asthma, amongst its many benefits.